The pulse of sound that rose like a cross between a muffled donkey's bray and a bassoon stopped me in my tracks. I stopped breathing. If I could physically open my ears, as I would widen my eyes, I would have. And there it was again, a sound I heard with my belly and my bones more than anything else - low, dense and strange. 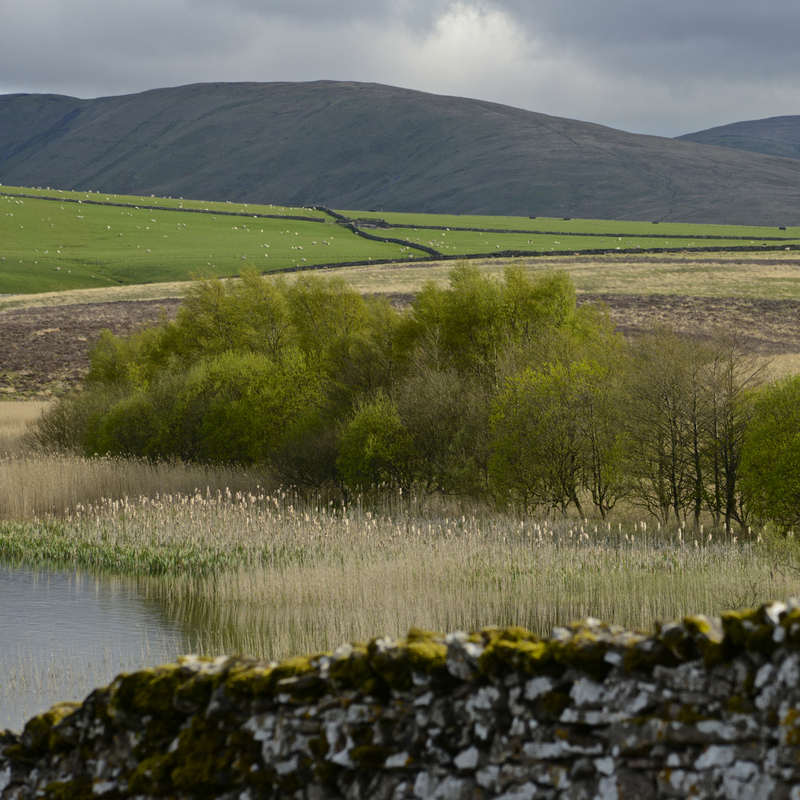 Rob and I had come across this sound when we pulled over on a drive along the open land of moor and limestone where eastern Cumbria meets the northwest corner of the Yorkshire Dales. We were heading towards Little Asby Common, looking for a particular Hawthorn that we wanted to consider for our upcoming project The Long View. As is so typically the case for us though, we became distracted and didn't get straight to our destination. The strange sound was not the first thing to stop us in our tracks. That had been the hare, sharp black-tipped ears twitching keenly as it sat upright on the narrow road in front of us, as if deciding where to go. Pushing on its kangaroo-like back legs, it lolloped fairly nonchalantly away from us and after a minute, it turned right, bent itself under the bottom bar of a gate, and gently arched its way across a field, zig-zagging between lambs. The thrill that rises when you’re outdoors and have an unexpected encounter with the wild had made its way to our smiles, and we became more alert. We drove on. The road narrowed and the land opened up – a spread of grassland beneath a wide, wide sky. Yet within three more minutes of driving we had to stop again. A few feet from the edge of the road was a lapwing standing quite still in the short sawdust-brown grass, the quiff on its head like a ‘look-at-me’ fascinator, its emerald wing flecked with translucent red, like a spill of oil. Underbelly pure white. It became agitated and began to squeak when we paused, and we soon saw why - two tiny chicks, popsicles of fluff patterned like tweed, were wobbling on uncertain legs a few wing flaps away. How can you not stop to wonder at something like this? We turned off the engine, took in the moment. 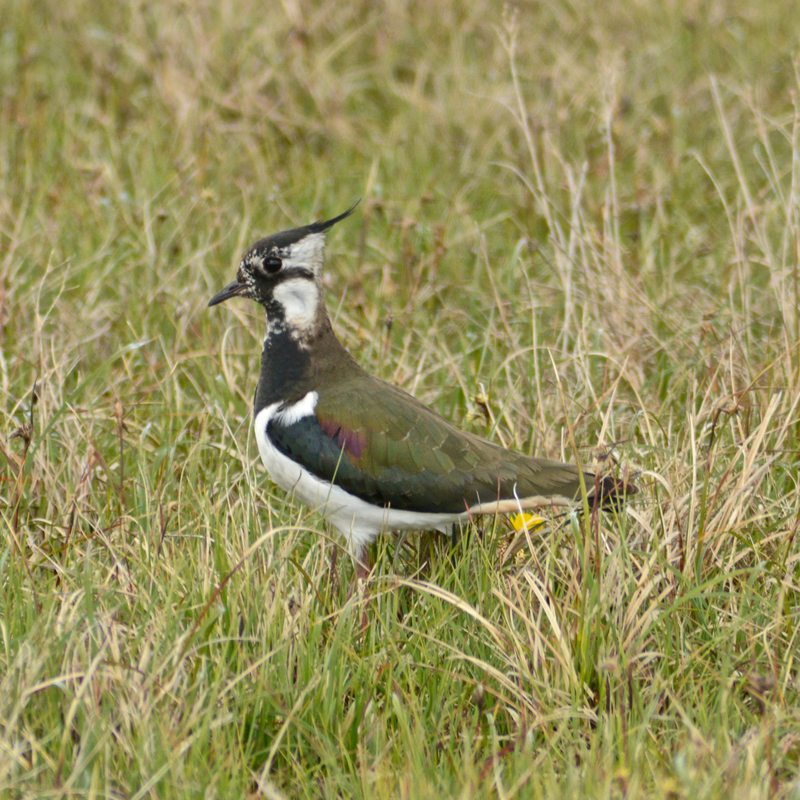 As a ground nesting bird, the lapwing has to keep a keen eye out for predators when herding its chicks. The bird in front of us declared the danger: cree, cree, cree. A second bird careered in, piercing the air with its own high-pitched call. Together, they began to distract us. On the ground, one hurriedly urged its young towards tufts of grass the same beige colour as their fluff. In the sky, the other circled around the head of the man with a camera in his hand (Rob). I looked up to the flying bird, just for a second, and looked down to find that the chicks had been deftly hidden. The lapwings were guarding their genes with ferocious dedication. We left them to it, and drove on, but not for long. To our right, the slate black water of Sunbiggin Tarn spread out in a dull shine beneath the low evening sun, a dark imprint rimmed by pale reeds. We had to stop again. We got out of the car and walked towards the water's edge. And the strange sound rose into the golden air. I thought it might be a bittern, but I have never heard one before so I couldn't be sure. I waited for another rendition - the low pulse of 'wah's had a staggered flow. Wah, wah, wadah dah dah. Another came. And then I waited for another. It felt for that moment that nothing else mattered except a repeat of the sound. I wanted to know this new thing. While I waited, standing stock still, the song of countless other birds rose in the air but I was more interested in the deep boom. Wonder compelled me to question – it was not an impulse to label what I heard, more of a deep need to experience it once more. I wondered how such a strange sound fits in the context of our local world where all other sounds are so familiar. There it was again, rising from the reed beds, transforming the entire scene into wonder and mystery. I lay down and listened for nearly an hour. Uninterested, a single swan insistent on harvesting underwater weeds spent most of the time with its bottom up, a blunt white triangle catching sunlight against the black taffeta surface of the tarn. Just the once, a curlew looped across the sky, its quick, staccato wingbeat at odds with its plaintive, slow call. Sedge warblers sent out a constant fidgety chitchat, skylarks provided the backdrop of soprano tweeting. And four, maybe five times, the deep wahwahboom drifted from below. If it was a bittern - I think it was - it's a rare thing. The RSPB website says there are only eighty breeding males in the UK and most of these are in the south. If it was a bittern I can see why enthusiasts flock to sites like Leighton Moss where theses curious ancient species are known to boom out their deep-throated call at this time of year. A surprise like that unique sound is like a twinkle of gold in a riverbed to a prospector - it demands closer attention, draws you in, gets you hooked. Although our journey had started with the intent of looking for a tree, it had given us gifts far beyond the tree itself – and in many ways that is the virtue of pausing and stepping into nature. There is always more to see and hear than you might expect. As for the hawthorn, we found it. Perching on the top of a limestone scar, affording a view of the open moor, and miles and miles of sky. It was clad in spring leaves, and beginning to put out buds for flowers. Its story will be told as we get to know it better. It is one of the seven trees that will form part of The Long View, and it is well worth the accolade. For now, the pictures say it all. Click and play the audio clip of the bittern from the RSPB here. 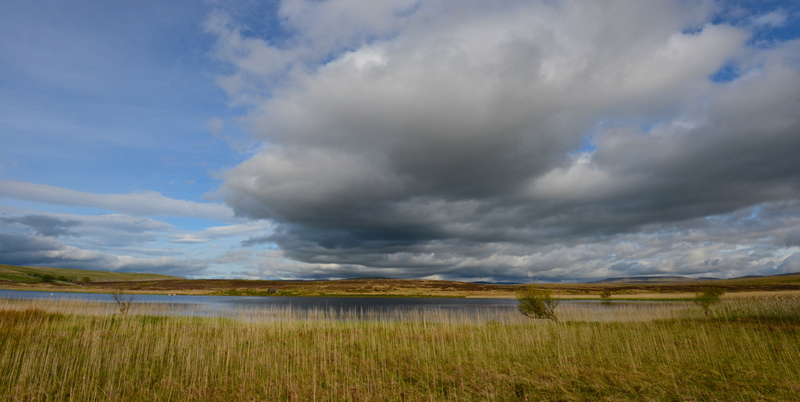 Read more about Little Asby Common by following the link from the Friends of the Lake District site.